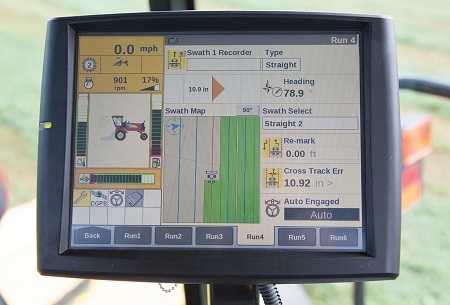 Advance your operation with New Holland’s Precision Land Management (PLM) IntelliSteer. IntelliSteer is available from the factory or can be easily added to any IntelliSteer-ready New Holland tractor, combine, windrower, or sprayer. Many older New Holland models can also be retrofit with PLM IntelliSteer. For more information about the New Holland IntelliSteer™ Automated Guidance System, call our Ag Technologies location (1268 E 100 S Rochester, IN 46975) at 574-223-2714.